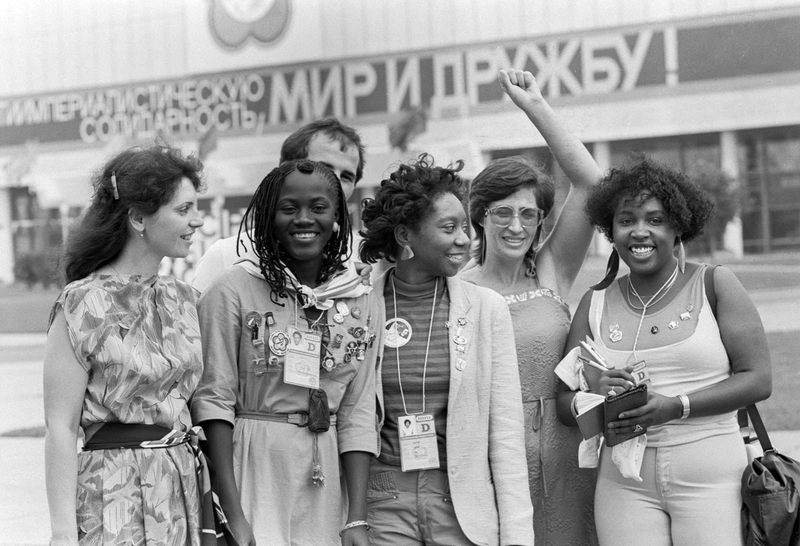 The USSR provided scholarships to thousands of African students. Russia has more than 40 full-fledged diplomatic representations in Africa and has fixed special trade missions to help facilitate trade and investment in a number of African countries. Despite this, economic engagement has faced difficulties over the years. For more than two decades, Russia has been trying to regain its Soviet-era economic influence in Africa, but such efforts have regularly hit stumbling blocks. Policy experts and Russian authorities attribute this to inadequate knowledge of investment and economic possibilities in the continent. Keir Giles, an associate fellow (on the Russia and Eurasia Program) at Chatham House, London, wrote in an emailed query that lack of knowledge about investment opportunities was not the only factor holding back economic engagement. “The problem remains that there are whole sectors of the economy where Russia is simply irrelevant - to take the most obvious example, consumer goods - and so their engagement will always be dwarfed by China,” he wrote. “The only exceptions are the traditional strengths of Russia (and the Soviet Union before it) - infrastructure, raw materials and energy. In effect, the lack of engagement is partly a consequence of the failure to develop and diversify since the end of the Soviet Union that is a fundamental challenge to the Russian economy,” the research associate wrote. As a result, Russian expertise and engagement with Africa entered a hiatus, at exactly the same time as China started rapidly to increase investment and presence. Moscow's recent efforts seek to redress this and catch up. Interestingly, Russia has more than 40 full-fledged diplomatic representations in Africa, and has fixed special trade missions to help facilitate trade and investment in a number of African countries. Despite this, economic engagement has faced difficulties over the years. “One must admit that the practical span of Russian companies' business operations in Africa falls far below our export capabilities, on the one hand, and the huge natural resources of the huge continent, on the other,” Russian Deputy Foreign Minister Mikhail Bogdanov said in a speech at a session of the Urals-Africa Economic Forum in Yekaterinburg in 2013. For the past years, only a few of Russia's initiatives aimed at reviving economic cooperation have been made public. “The Russian media writes very little about Africa, what is going on there, what are the social and political dynamics in different parts of the continent,” said Fyodor Lukyanov, editor-in-chief of the journal Russia in Global Affairs. “The media and NGOs should make big efforts to increase the level of mutual knowledge, which can stimulate interest for each other and lead to increased economic interaction as well.” Lukyanov is also a member of the State Council on Foreign and Defense Policy. Africans are poorly informed about the possibilities of Russian partnership. For the dearth of vital economic information, Russian Foreign Ministry, Department of Press and Information could also be blamed for its failure to grant media accreditation to, at least, a few African journalists to work in Russia. Most often, African political leaders and corporate business directors have to depend on western media reports about developments in Russia. “Until recently, Africa was poorly represented in macro-economic forecasting and research, especially in terms of Russian-African relations,” wrote Professor Aleksei Vasiliev and Evgeny Korendiasov, both from the Russian Academy of Sciences, Institute of African Studies (IAS). Vasiliev is a former presidential envoy to African countries and Korendiasov, a former Russian ambassador to the Republic of Mali and Burkina Faso. They authored an article published in June 2013 that said Russia has officially declared promoting relations with Africa a priority goal. However, assurances made by Russian officials in their statements that Africa is “in the mainstream of Russia's foreign policy” have not been substantiated by systematic practical activities, and the development of relations between Russia and Africa has so far been nothing to boast about. Moscow's long term goals include developing investment cooperation with African countries, widening the presence of Russian companies in the African markets through increased deliveries of industrial and food products, and enhancing Russian participation in driving the economic development of Africa. At the same time, Russia needs to look at simplifying access to its market for African countries. Kester Kenn Klomegah is an independent research writer on Russia-African affairs. Read more: Can Moscow stop Kim Jong-un?